Terms and Conditions: Offer valid for pick-up from 12/18/17 – 3/31/18 at participating Budget Car and Truck Rental of Utah locations. 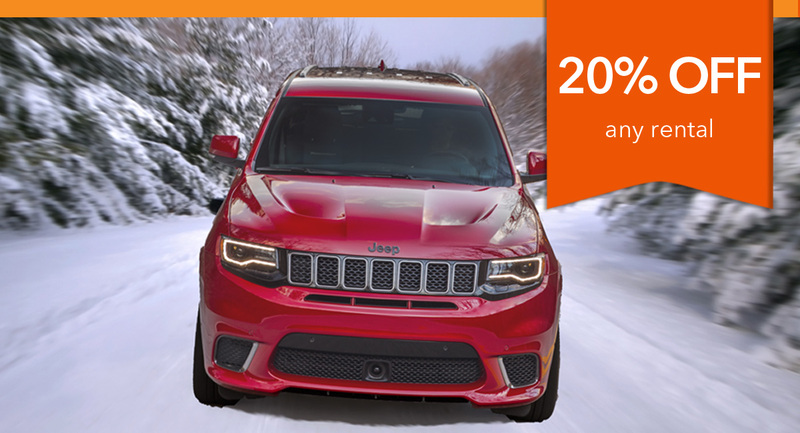 Offer of 20% off valid on select vehicles. Offer based on U.S. currency. Taxes, concession recovery fees, vehicle license recovery fee, and customer facility charges may apply and are extra. Optional items such as LDW are extra. Refueling is extra. Offer is subject to vehicle availability at the time of rental and may not be available on some rates at some times, including some online rates. Offer cannot be used for one-way rentals. Offer may not be used in conjunction with any other discount number, coupon, promotion or offer and is subject to change without notice. Renter must meet Budget age, driver and credit requirements. An additional daily surcharge may apply to renters under 25 years old. Rate surcharges apply during peak periods. Offer may not be available during blackout periods.